﻿ Best Price on Hotel Mandarina in Quepos + Reviews! Located in a village surrounded by forest and just 5 minutes' drive from the sea, Hotel Mandarina offers an outdoor pool, table tennis facilities and free Wi-Fi in public areas. 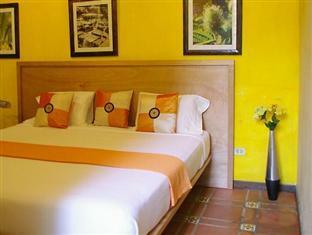 The rooms are decorated in light colors and feature colorful bedding. 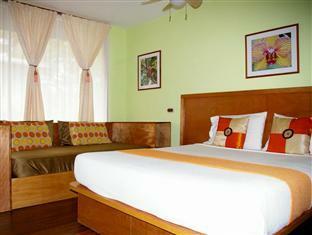 All rooms have air conditioning, flat-screen cable TV and a coffee maker. The bathrooms are private and some have open-air showers. Hotel Mandarina offers free parking on site. It also features gardens, terraces and car rental services. Within 328 feet from the property, guests can find several food options. The tour desk at the hotel can help guests arrange outings to see the surroundings, visit Quepos Beach or go horse riding. Juan Santamaría International Airport is 3 to 3.5 hours away. Quepos La Managua Domestic Airport is 13 minutes’ drive away. Please note all rooms are smoke free. Please note that the reception is closed from 19:00 until 07:00. If you expect to arrive outside reception opening hours, please inform the property in advance. You can use the Special Requests box when booking or contact the property using the contact details found on your booking confirmation. Please inform Hotel Mandarina of your expected arrival time in advance. You can use the Special Requests box when booking, or contact the property directly using the contact details in your confirmation.